With Summer Approaching Have You Chosen A BBQ Utensil Set? Historians disagree on when exactly barbecue cooking began. However, there is good evidence that the term ‘barbecue’ derives from the word “barabicu,” which is found in the languages of the Timucua and Taino of Florida and the Caribbean. This phrase was entered into the European languages from explorers who visited those areas as ‘barbacoa,’ or sacred fire pit. The method of cooking using barbacoa is digging a hole in the ground for a fire pit, and cooking a large piece of meat on top of a pot. The pot catches the juices, which were used to make a rich broth. The meat was then covered with maguey leaves and coal, and cooked on the coals for several hours. This technique of cooking is believed to have originated in the Caribbean and migrated to other cultures (along with the word) such as the Spanish, Portuguese, French, English and some Native American tribes. Traditional food cooked using this method would have usually been whole animals such as pigs and goats, rather than smaller cuts of meat. This is especially true in the American South, where barbecue was primarily used to cook pork. Pigs were a low maintenance food source that could be easily raised by allowing the pigs to forage for food themselves, then be caught and cooked when more meat was needed. Today, pork is still the most common barbecue meat in the American South, although other barbecue meats such as chicken and beef are growing in popularity there. Today, barbecue is usually done outdoors with personal grills or personal outdoor cooking tools. Restaurants typically have a large brick or metal oven designed to cook barbecue indoors safely. In areas where barbecue is very popular, such as the American South, restaurants may have their own outdoor (or indoor) barbecue pits and grills instead of indoor barbecue ovens. 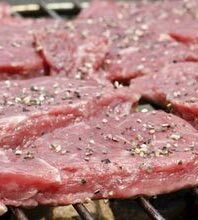 There are many variations on barbecue, including how the food is cooked, where the food is cooked, whether it is cooked using wood, charcoal or gas grilling, what spices or sauces are used in cooking the meats, how the meats are prepared, what the meat is served with, etc etc. Barbecue is incredibly popular in the American South, particular in North Carolina, Texas, and Tennessee. Some large cities in these states boast over 1,000 different barbecue restaurants within their borders! There are several popular cooking techniques used in barbecue. The first is cooking using smoke. This is done by cooking the meat at lower temperatures (about 115-125 °C) for several hours, keeping the grill top (or other container) closed for most of this period. The heat from a heat source cooks the meat, while the smoke adds a unique flavor to the meat. Smoking can be done using a grill or a fire pit, and both wood or charcoal can be used to smoke the meat. It’s important that the smoke must be able to leave the top of the grill through a hole or other opening quickly, to avoid smoke building up on the meat and giving it a bitter flavor. Baking barbecue is done using a masonry or baking oven, which uses convection to took the meat with medium temperatures for about an hour. Baking is usually done at restaurants where outdoor barbecue tools may not be practical or even legal for restaurants. 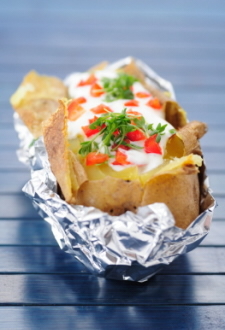 By using indirect and direct heat to surround the food with hot air, the food cooks in a reasonable amount of time. Baking can also be done in a pit, by surrounding meat wrapped in something (such as wet burlap, wet leaves, or aluminum foil) with hot coals and stones. Braising is another popular barbecue technique. Braising involves charbroiling (direct dry heat) and cooking in a broth filled pot (moist heat) at various speeds and temperatures for several hours. After this stage of braising, the meat is grilled directly over dry heat such as a fire for several minutes. Braising is particularly popular because it allows for the meat to be “cooked” three times, which creates a very soft texture that often falls right off the bone. Braising is slower than grilling or baking, but faster than smoking. Because of the popularity of barbecue there are a countless number of grills and other tools available on the market that can cook barbecue. Let’s look at some the top three barbecues used in this method of cooking available from Amazon.co.uk. This grill set is made from stainless steel and includes two individual grills – a closeable drum style grill and small open grill. 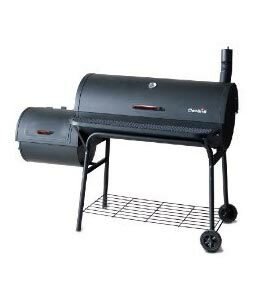 The smaller grill can fit inside the large grill, which locks shut and is perfect for transportation. This little grill is perfect for parties on the beach or park, and can even be used to create small warm log fires in areas where pit and ground fires are not permitted. The Landmann 3 gas barbecue contains three aluminized burners that can heat a 29.6 cm x 45.4 cm cooking area. Each burner is able to be controlled individually for excellent heat control and authentic barbecue flavor. The barbecue also features an enameled warming rack, which keeps your cooked food hot without burning it. The barbecue is moveable, and comes with a gas pressure regulator and hose. Propane gas cylinders are not included but can be readily purchased. This charcoal smoker grill is from Landmann, one of Europe’s leading manufacturers of barbecues and barbecue accessories. It features 2 enameled cooking grills and a condiment table for easy access. A thermometer in the lid allows you to keep watch on your temperature. The lid is closeable and there are 2 wheels for easy mobility.